This part of 26th volume, the author Mr. Sophan Seng described the first phase of Sun Ray Political Platform aiming to upgrade political opposition of Cambodia in implementing genuine democratic political party system like it has been practiced in civilized countries particularly Canada, Australia and the UK. 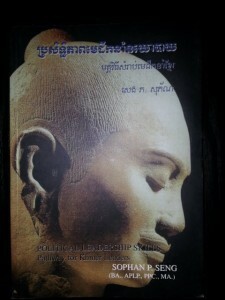 In Cambodia, the democratic development has not been inclusive since 1993 such as the inclusiveness of fair play political parties, the inclusiveness of civic engagement through civil society and bottom-line community, the inclusiveness of free and fair election committee (NEC), and the inclusiveness of responsive and effective governance leadership. Historical remark, the political party of government leadership has enjoyed free ride since the first election result in 1993 sponsored by the United Nations. The UNs failed to establish a strong and dynamic opposition party since the beginning. The monopoly of power and resources by the political party of government leadership Cambodian People’s Party (CPP) is remained visibly tenacious. While the government and party’s affairs are not clearly separate, the opposition party(s) in Cambodia have been planned in “activism” leadership than “government” leadership. In Canada, for instance, the opposition party is inclusive in government leadership role and this party is incentivized by several government’s sponsorship such as opposition leader and family who is minority leader of the Assembly is living in a free mansion (named Stornoway), there is official office for minority leader cabinet, minority leader can host foreign delegates regardless of their position(s), and financial support from the state to fund the researches opposition can rally the critics effectively etc. Official Cambodia opposition party couldn’t rely on sympathy and donation in kind from supporters solely, this party can exercise their full rights within a democratic principle, the CNRP of Cambodia must be able to afford full leverages from the state budget which is owned by the Cambodian people to ensure smooth and sustainable democratization of this country.